AFTON (OLSEN) SHAW, beloved wife and best friend of Don Shaw, passed away peacefully on Saturday, January 20, 2018 in Cardston, Alberta at the age of 83 with her family by her side. She leaves to mourn her passing her husband Don of 63 years, and their children Rod(Joan), Wendell(Dorie), Carol(James), and Darren. Along with 13 Grandchildren and 15 Great Grandchildren, whom she loved dearly. She was predeceased by her parents Irvin and Alice Olsen, brother Theran Olsen, sister Rhea Jensen, and special friends Uncle Kent & Aunt Hilda Burt. She also leaves to mourn her passing brothers Kay(Pat) Olsen, Calvin(Judy) Olsen, and sister Zola(Mac) McConnell. Sister-in-laws Ruth Olsen, Elizabeth Olsen and Shirley Sillito along with numerous nieces and nephews. Afton grew up in Leavitt, Alberta and attended school in Leavitt and Cardston. She married Don Shaw on April 21, 1954 in the Cardston Alberta Temple. Afton owned her own cottage craft business and sold those crafts across Canada and the United States. She loved to dance and taught line dancing for many years until her health made her unable to do so. Don & Afton loved to travel and spent many winters in Arizona with family and friends. She was a faithful member of The Church of Jesus Christ of Latter-Day Saints and served faithfully in many callings. Afton loved the temple, and she and Don served as ordinance workers for many years. They also served for 13 years as Directors of the Temple Visitor Centre. 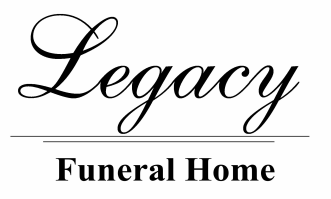 Friends may meet the family on Tuesday, January 23rd, 2018 at the Legacy Funeral Home in Cardston from 7:00 to 8:00 p m and on Wednesday from 10:00 to 10:45 am prior to the service. The Funeral Service will be held at The Church of Jesus Christ of Latter-day Saints, Cardston Alberta West Stake Centre, (846 -1 Ave West), Cardston, AB., on Wednesday, January 24th, 2018 at 11:00 a.m.
Interment to follow in the Leavitt Cemetery.